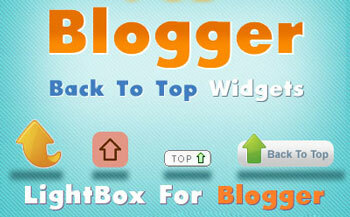 Back to button is simple and very small widget but is kind of very usefull for your blogreaders. If users are browsing through number of post on your blog this widget will let them easily go back to top of the page with a click rather then scrolling to the top, which take some time. Choose any button from the code given below. 1. Go to Blogger Dasboard and click on Layout. 3. Now paste below code into it.